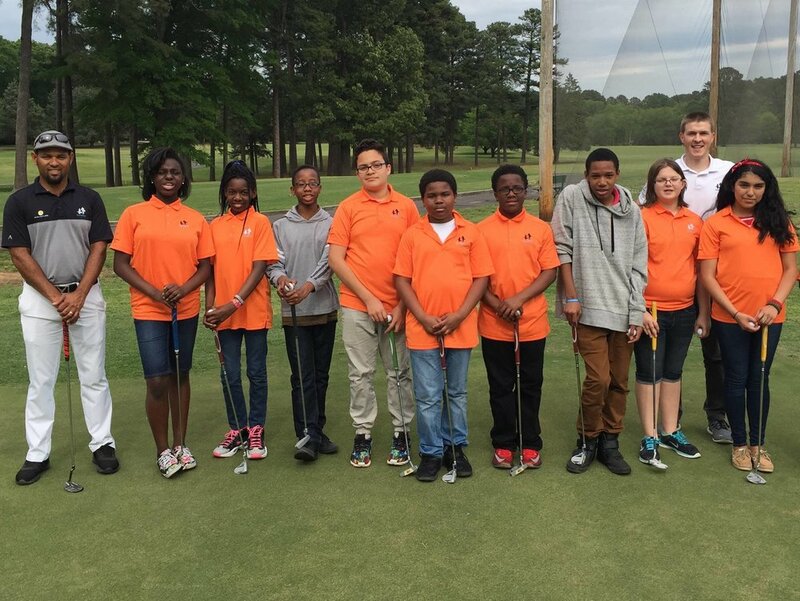 SwingPals works with 1,000 6th grade students each year. Through our unique programming, students develop self-confidence, coping skills and courage in a caring environment. Due to the success of our work, SwingPals is now experienced by every 6th grade student who enters one of our partner schools. During their PE elective, students receive 10 SwingPals sessions, alternating between classroom work focused on developing mindfulness, and gym sessions where they have fun playing golf while developing positive visualization skills. Students graduating the gym/classroom segment may then participate in SwingPals at the Hillandale golf course. This occurs at the end of their first and second semester and is the precursor to the student’s enrollment in the SwingPals year-round 7th and 8th grade program. A significant part of the SwingPals program is mindfulness and emotional regulation. We use HeartMath® tools in classroom instruction and activities to teach our students to focus their minds and achieve emotional balance. The Smart Brain Wise Heart™ program teaches students how to respond positively to stress, and assists students with decision-making and motivation. This program demonstrates how synchronicity of the heart, mind, and body assists learning, goal-setting, and relationship-building skills. Upon finishing the Sixth Grade Program, SwingPals students may apply for enrollment in our 7th and 8th Grade Student Leaders Program. Students accepted in the after-school year-round program have the opportunity stay in SwingPals through 12th grade.